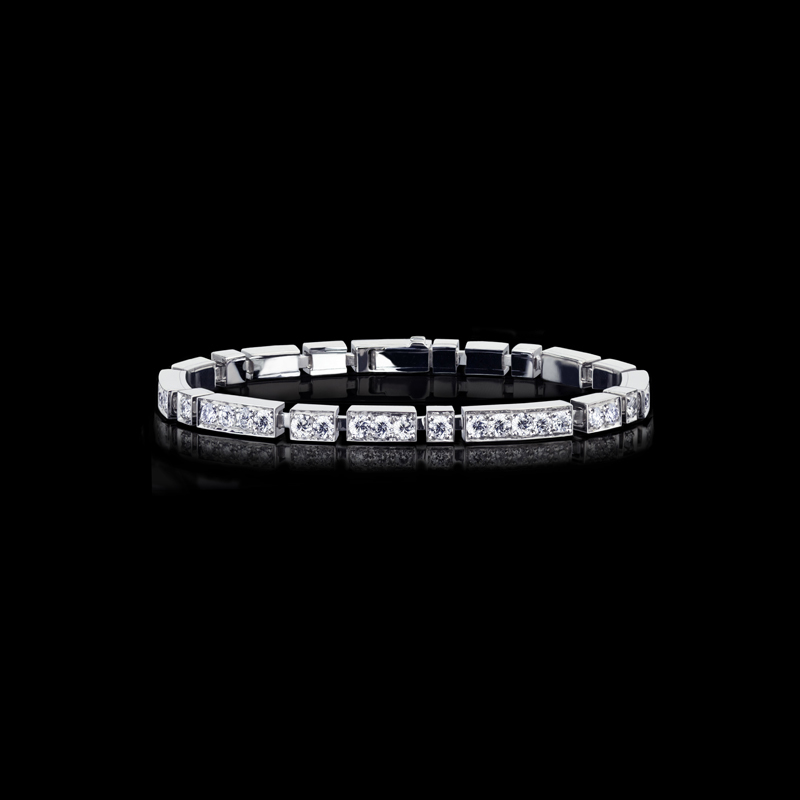 Canturi Regina diamond bracelet with Australian black sapphire detail in 18ct white gold. A Classic diamond Line bracelet with a modern touch. Canturi Metropolis diamond earrings, with Vintage rose cut diamonds and Australian black sapphire baguette detail in 18ct white gold.